Thanet Community Safety Partnership officers Cara Radford (left) and Katherine Turner, with Newington Community Primary School crossing patrol Sasha Roberts, with one of the important safety messages for motorists on the school perimeter. 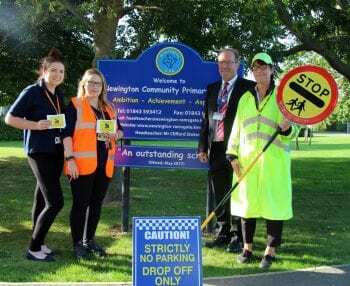 Keeping children safe at the school gate is a major priority and Newington Community Primary is the first school in Thanet to be part of a nationwide scheme called Operation Safety Net. The multi-agency drive will include enforcement officers issuing fines to deter illegal and potentially dangerous parking that can pose a threat to pupils. Thanet Community Safety Partnerships Officers, Police Community Support Officers and Community Wardens are among the agencies who have visited Newington CPS during the early morning school rush to gather first-hand information to back up the school’s growing concerns. “Poor parking can pose a real threat to the safety of our pupils and others using the footpaths around the school. Concerns have been raised about vehicles illegally parking, being left on grass verges and paths forcing people to walk in the road, parking across people’s driveways, or traffic jams caused by the sheer volume of traffic generated by poor traffic flow through illegal parking. Kent Fire Brigade is involved in this project at Newington as well because it is vital that there is enough road space at any time for fire engines or any other large emergency vehicle to have safe road access in response to any kind of call for help. 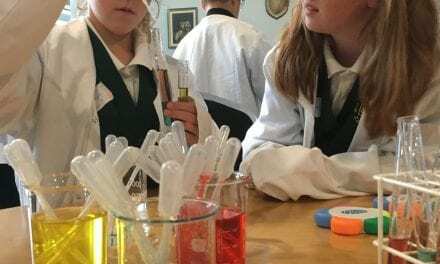 “It is a vitally important community project and our school is happy to be the first in the area to become involved. Safety outside of the school gates is something we discuss with all age groups. As part of Operation Safety Net there will be full school assemblies and class assemblies to make sure our children are fully aware of how to be a safe pedestrian. Thanet Community Safety Partnership officers Cara Radford (left) and Katherine Turner, with Newington Community Primary School Head Teacher Cliff Stokes and the school crossing patrol Sasha Roberts. Thanet Community Safety Partnership officers Katherine Turner and Cara Radford were also outside Newington to witness the morning rush. 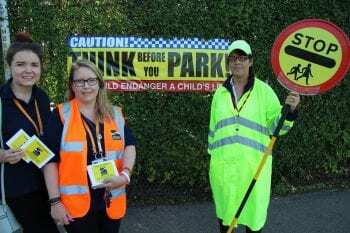 Parking on school zig zag zones, double yellow lines and dropped kerbs are among the issues, and Katherine and Cara were handing out dummy yellow and black distinctive parking fine tickets to people around the school to raise awareness of illegal parking outcomes. Information gathered by the agencies will be collated to build a picture so that the specific needs of schools can be acted upon. 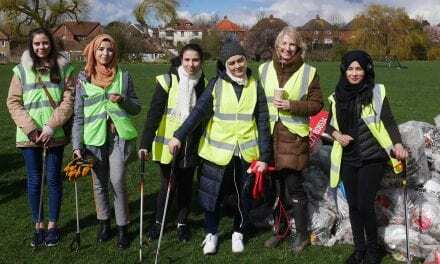 “Generally the behaviour of motorists visiting our school is very good. They observe the safety and warning signs we put in place, and they very sensibly use our parking bays and designated drop off points. Often it is drivers who are not part of our school community who barge along the busy roads outside the school. 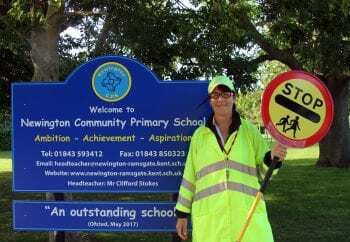 Our safety crossing patrol Sasha Roberts does a splendid job and she is always vigilant to sense potential danger to our children as they cross the road by the gates and as they walk along the footpaths. School staff also patrol the area, so we are doing our best to reinforce the safety message through a physical presence at key times during the day. Thank you to Newington Community Primary School for sending us this positive news story. 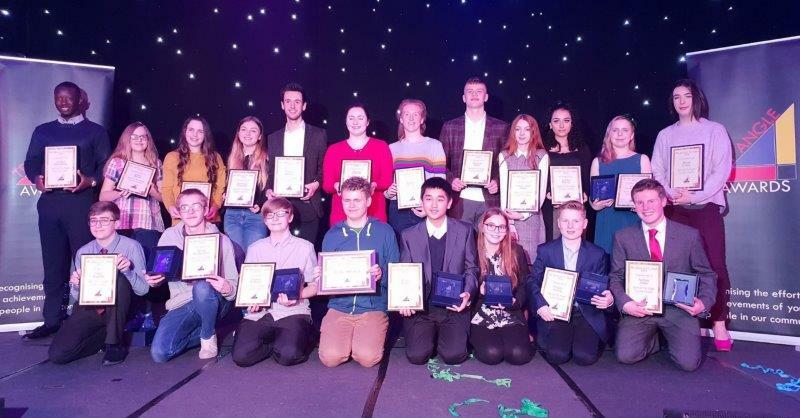 It is great to see the community pulling together and the school working with community organisations like Thanet Community Safety Partnership, Police Community Support Officers and Community Wardens to keep our children safe. Now that Operation Safety Net has been put in place nationwide, it is up to us as smaller communities to ensure we are parking responsibly. Walking a few extra metres is no hardship and the fresh air is a great way to start and finish the school day. Your school may also have a Walking Bus Scheme that you can utilise, hopefully meaning that you do not need to take the car at all. Safety is more important than convenience and it is terrific to see local schools supporting the initiative.